The Front Porch was originally started by Bobby and Charlotte Strickland in Gordo, Alabama in 1996. Bobby built the wooded structure himself from the trees on the land that the restaurant still sits on today. 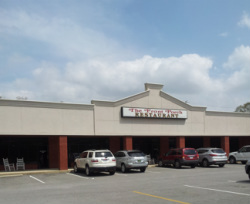 The restaurant operated there until 2007 when it moved to Northport to help grow the business.